Residents of the besieged Syrian town of Madaya continue to die of starvation and a lack of medical supplies, despite the delivery of aid earlier this month, according to a leading humanitarian agency. Doctors without Borders (MSF) said on Saturday that at least 16 people – close to one person per day – have died since three aid convoys entered the town, near the Lebanese border, on January 11. 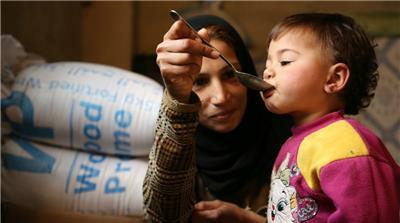 The group said that an estimated 320 people in Madaya are suffering from malnutrition, 33 of whom are “are in danger of death if they do not receive prompt and effective treatment”. “It is totally unacceptable that people continue to die from starvation, and that critical medical cases remain in the town when they should have been evacuated weeks ago,” said Brice de le Vingne, MSF’s director of operations. Harrowing images of malnourished Madaya residents gripped the world in early January,showing wide-eyed babies without access to milk, and elderly men with cavernous rib cages. “We would go for three days without food, then we would go and gather grass to just boil and eat it,” Mubarak Aloush, a Madaya resident who managed to escape to Lebanon told Al Jazeera at the time.